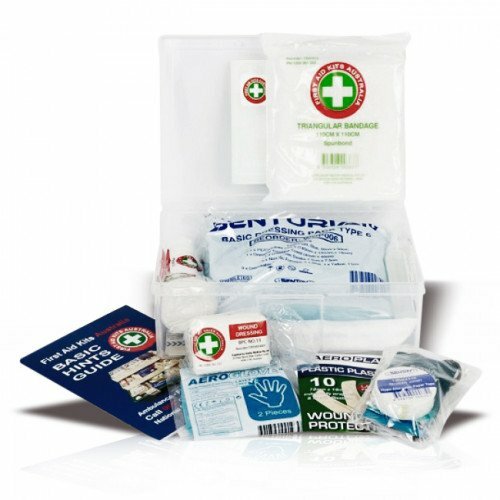 Our K111 Promotional Car First Aid Kit is great for the city commuter, road trips, excursions and for the family vehicle. The K111 Promotional Car First Aid Kit is for one or two people, who are within one hour of medical attention, and who suffer minor injuries. If you have many passengers or are traveling outside one hour of medical facilities you should consider a larger First Aid Kit. This kit can be personally branded with your Company or Business Logo. Call us now and we can organise something for you. 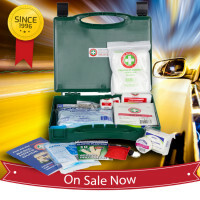 K100M3 Executive Car First Aid Kit - On Sale Now! - The requirement for large groups of people in your care (e.g. on a bus) is to have 1 First Aider per 25 workers. Consider the need for First Aid Qualifications for your drivers. - Locate your kit for easy and quick access. - Consider where to locate the First Aid Kit in the vehicle. Immediate access to your kit is vital. - Always consider having a Defibrillator in the vehicle, especially with elderly persons on board. This could be the difference between life and death. Our 500P is the perfect addition to satisfy this requirement.